Costume suspender colour navy. 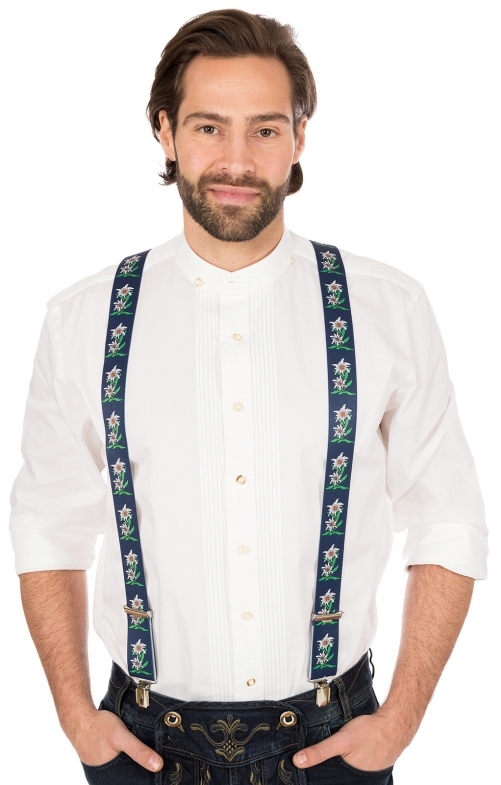 With alpine flowers Edelweiss motifs. Traditional design, with two single straps at the front and a straps at the back. The metal clips allow the use for all trousers, even if there are no trouser buttons on the trousers. The colour marine is sporty and stands in nice contrast to the Edelweiss. The braces are individually adjustable in length and suitable for almost all body sizes.